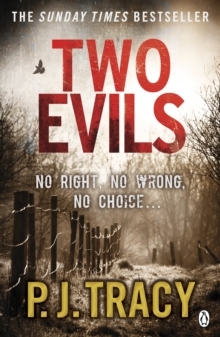 *US edition title: OFF THE GRID*Two Evils is the sixth book in P.J. Tracy's bestselling Twin Cities series. As the nights draw in so the killings begin... A missing girl is found dead in a parking lot, her throat cut. Two young immigrants are gunned down in their apartment. And with each passing day the body count rises... For Minneapolis homicide detectives Gino and Magozzi it seems that this autumn the bodies are falling faster than the leaves. With few leads to go on, yet evidence that these killings are linked to others taking place in other cities, the pair turn to Grace McBride, maverick computer analyst. What Grace uncovers forces Gino and Magozzi to make a dreadful and fateful choice: down which twisted path does the lesser of two evils lie... P.J. Tracy's cult thriller characters Grace MacBride and Detectives Gino and Magozzi are back once again in the sixth book in the Monkeewrench series. Follow their journeys in the rest of the series: Want to Play?, Live Bait, Dead Run, Snow Blind and Play to Kill. Praise for P.J. 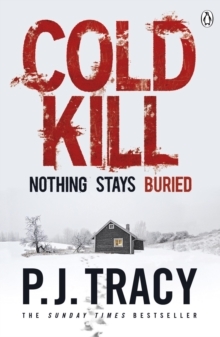 Tracy:'Outrageously suspenseful' Harlan Coben'A fast-paced gripping read with thrills and devilish twists' Guardian'A powerful thriller and an ingenious plot' Observer P.J. Tracy is the pseudonynm for the mother-and-daughter writing team of P.J. and Traci Lambrecht. 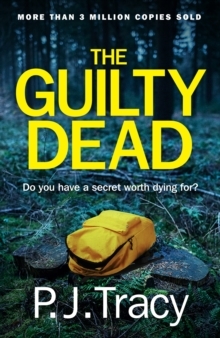 They are the authors of the award-winning and best-selling thrillers Live Bait, Dead Run, Snow Blind, Play to Kill, Two Evils and the Richard and Judy Book Club pick Want to Play?. 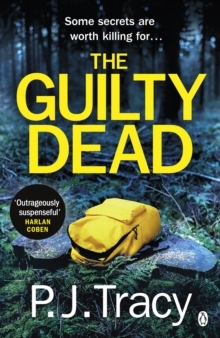 All six books feature detectives Gino and Magozzi and maverick computer hacker Grace MacBride.